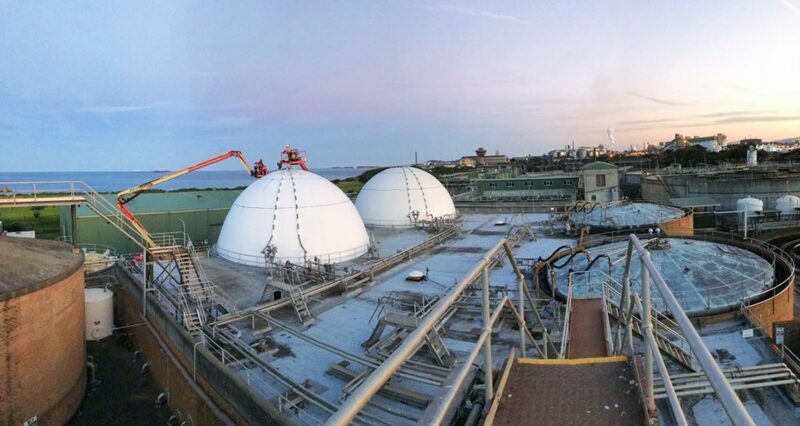 Eneraque’s range of superior biogas storage tanks enables the storage of significant quantities of different gases. 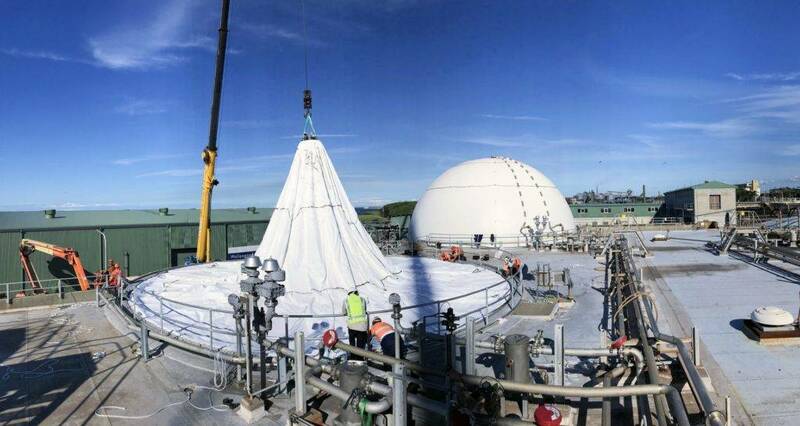 These biogas storage systems allow planned biogas storage so that generation plant managers can gather sufficient quantities of fuel in the event of planned export to the grid at a peak price point to optimise revenue. In the event that a generator is off-line for maintenance, the biogas storage facility will enable maximum gas utilisation. Double Membrane Biogas Holders – How do they work? The double membrane biogas storage tank system consists of an external membrane which forms the visible outer round contour of the tank, an internal membrane and a bottom membrane which encloses the actual gas space. A pair of duty and standby blowers provides air to the space between inner and outer membranes to regulate the variation in gas input and gas output, thus keeping the gas pressure inside the tank at a constant level, it also keeps the external membrane rigid protecting it against weather elements. The supporting air in the space between the inner and outer membranes is balanced with the addition of an air damper valve. As volume of the gas space changes according to the quantity of gas flowing in and out of the tank, a level detection device measures the volume of the inner membrane and relays the information to the control panel to regulate the operation of the plant. 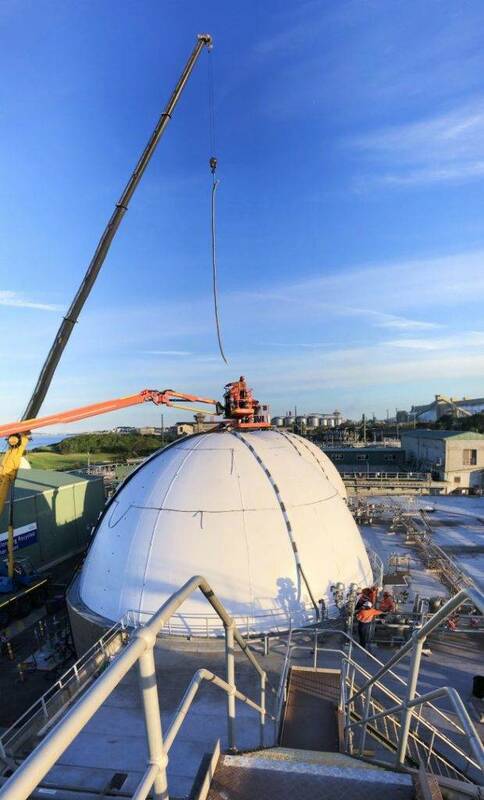 The gas supply and discharge pipes are cast into the concrete foundations before the actual erection of the tank and then hermetically sealed to the bottom membrane on installation. The double membrane biogas storage tank is then clamped to the concrete foundation by means of an anchor ring. 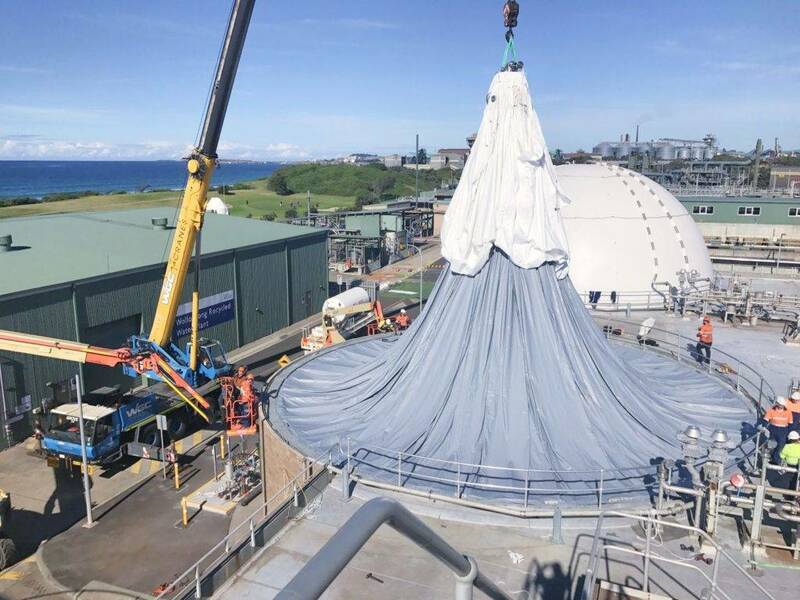 Making biogas storage tanks using superior materials and standards. The biogas storage tank membranes are highly tear resistant polyester fabrics with a special PVC surface treatment and acrylate varnish. 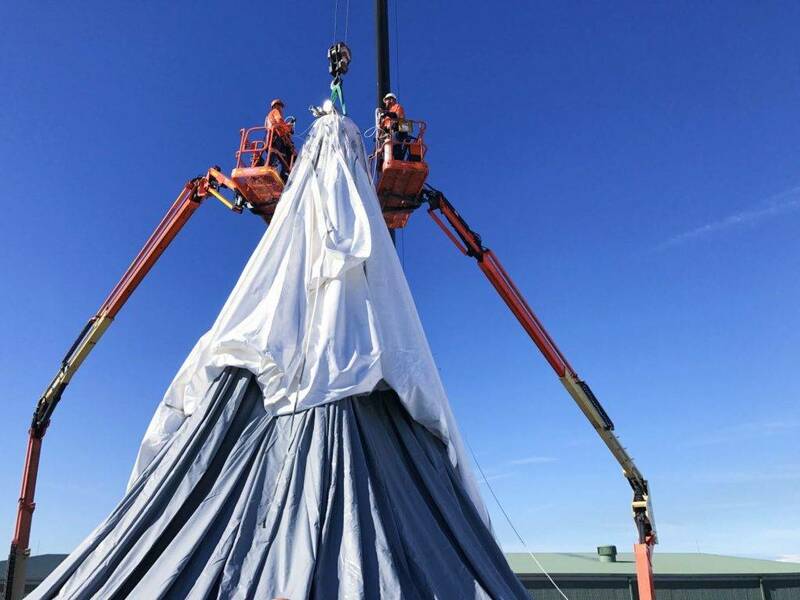 The fabric is also resistant to the impact of the different biogas ingredients and the white colour of its external membrane has a highly reflective effect. The construction and dimensions of the double membrane biogas storage tank comply with all relevant standards. 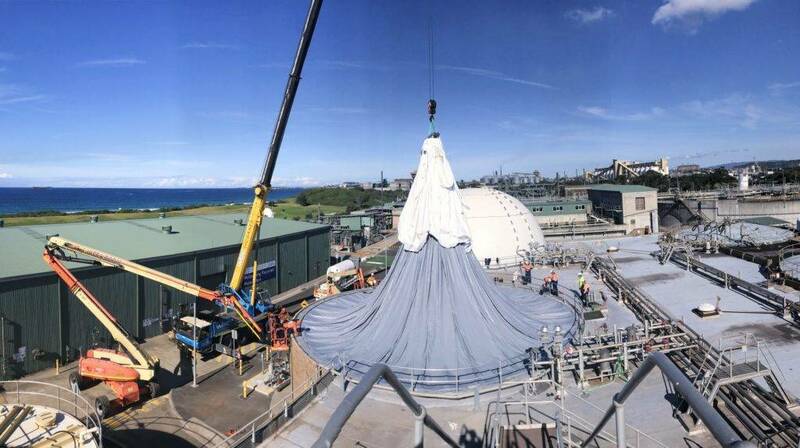 Eneraque | BioGas Holder Project, Wollongong – Inflation Timelapse from Eneraque Pty Ltd.
For more information about Enershpere Biogas Storage Solutions, please get in contact with us today.